Sometimes I wonder if we expect too much from our kids these days. From school, to sports, to relationships, we push them to do more, to be better, to strive for perfection. This isn’t necessarily a bad thing…I mean, we don’t want our kids to be lazy, right? We want them to do well and be successful in life, but it’s also important that we allow our kids to be kids — to have fun and not stress about the little things. This post is sponsored by Ivory. As always, all opinions are my own. Now that my kids are getting older, I worry that my husband and I are pushing them too hard in school and sports. From going to a rigorous charter school, to playing competitive sports, they don’t have a lot of time to be kids. While they love their school and sports teams, they complain about not getting enough time to play and simply relax after school. After doing some mommy reflecting, I’ve realized that we need to find a better balance between school, sports and downtime. I’ve also realized that I need to do a better job of teaching my kids how to relax and de-stress. Taking a relaxing bath with Ivory soap is great start! Growing up, I always found that taking a bath was super relaxing and soothing, especially after a stressful day. I would fill up the tub with the hottest water I could stand, lay back, and not worry about a thing. My mom always had Ivory soap, so now any time I smell the classic Ivory scent, it takes me back to my childhood and the countless baths I took. My kids, on the other hand, hardly ever take baths. As they’ve gotten older, they’ve gotten into the routine of taking quick showers before bed. I’ve been encouraging them to take baths more — simply to relax — and they’ve been loving it. 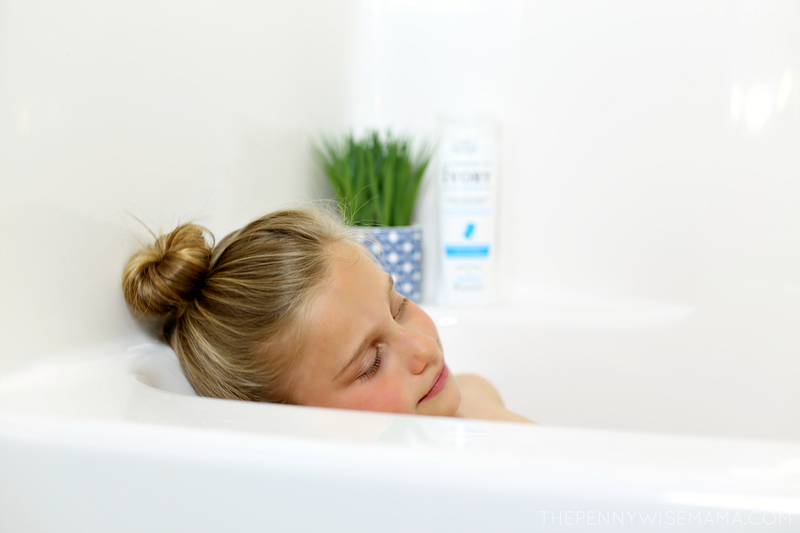 All three of them agree that a bath is very relaxing after a long day of school and sports practice and they’ve also come to love Ivory products as much as I do! Ever since I had my kids, I’ve been very picky about the bath products we use. It’s important to me that we use products that are free from harsh ingredients which is why I love Ivory products. For over 130 years, Ivory has been providing families with a pure and gentle clean without the use of dyes and heavy perfumes. While Ivory original bar soap has a new look (isn’t the packaging so pretty?! ), it’s the same 99.44% pure soap that has been trusted for generations. It’s free of dyes and heavy perfumes, making it gentle enough for the entire family. 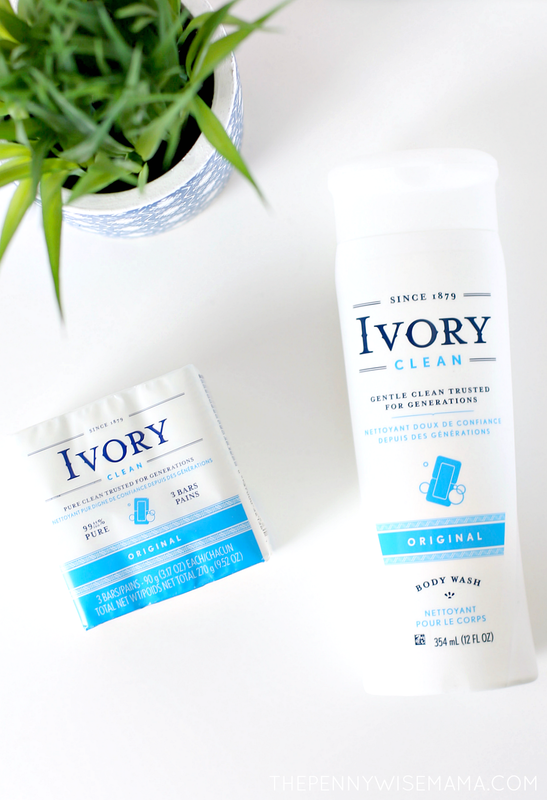 I’ll always be a fan of Ivory bar soap, but the Ivory liquid body washes are also pretty amazing! 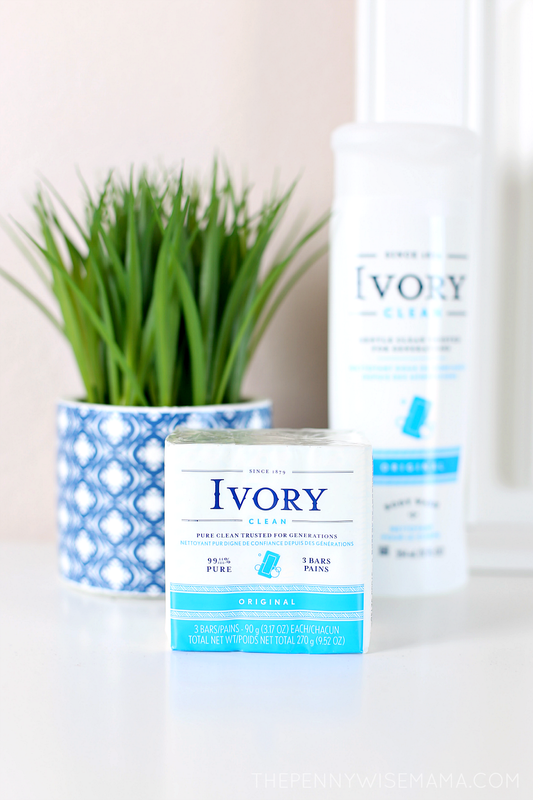 The Ivory Clean Body Wash smells so good, without being overpowering. 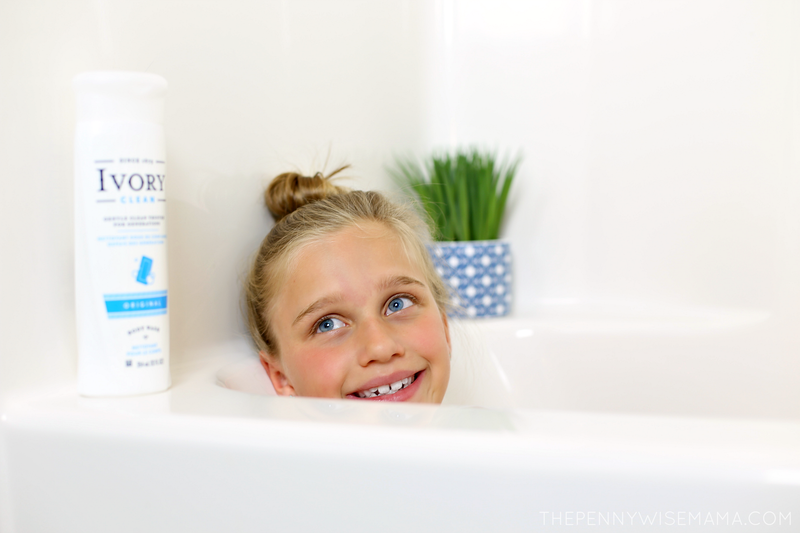 The gentle formula is free of dyes and heavy perfumes, which is perfect for my kiddos who have sensitive skin. As parents, all we want is for our kids to be happy and healthy, which is why it’s important to let them be kids. They need to have downtime to relax and have fun. So let them play in the mud, eat ice cream before dinner, and take bubble baths. 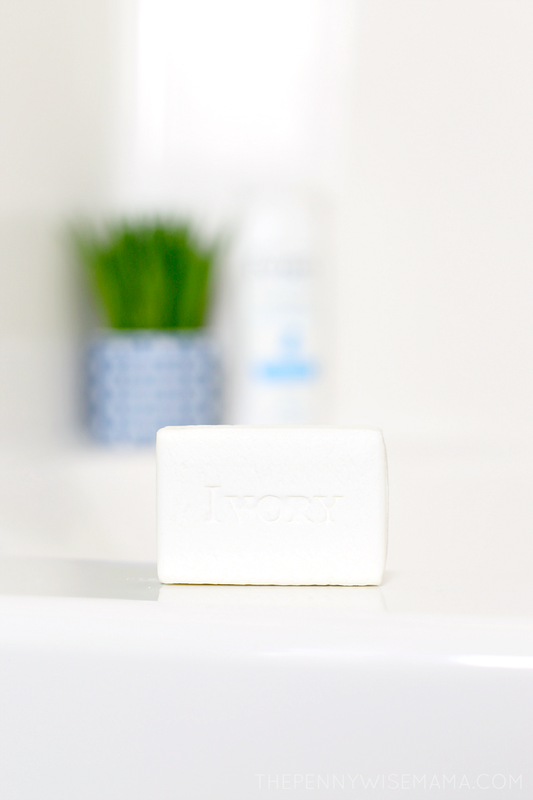 Life is busy, and they are only little once, so take the time to simplify your routine with Ivory and enjoy the things that matter most! Want to make bath time even more fun? Make these DIY Bath Bombs!